Home » Travel » A River Runs Through It…. “Eventually, all things merge into one, and a river runs through it. It isn’t that I do not appreciate the beauty of oceans. I have so often revelled in the sound of the sea, been lulled into sleep by the rhythm of calming waves washing over soft sandy beaches. Have been awed by the sheer fury of a stormy sea relentlessly pummelling magnificent craggy cliffs and experienced the blissful silent stillness far out in the middle of the ocean on terrifying catamaran rides. It is a gently flowing river, however, that runs through my nostalgic daydreams. I suspect my connection with rivers goes beyond the fact that I grew up beside one. It feels like a genetic memory tied to a time long before paved roads replaced the waterways to ancestral villages where row boats were the preferred modes of transport. My oldest memories are intertwined with rivers and boats. Much anticipated visits to ancestral homes along the backwaters. Endless summer evenings spent on the stone benches along its banks watching otter mums fiercely protecting their pups from ours. Watching roof tiles being loaded onto boats that carried them to waiting dhows on the horizon. I learned early that rivers aren’t always benign. One time, a young girl, the teenaged sister of a labourer in our tile factory went missing. Two days later her body was found several miles upstream. I remember pre-empting my mother’s ban and quietly slipping away from the back door with a cousin to join the crowd gawking around their house. The horror of that day has long faded, but the picture of the disfigured face of that unfortunate girl still pops into my mind when I remember the river. And then the memories of good times crowd it out. I didn’t ‘see’ the river then. Never perceived it as a thing of beauty. Didn’t realise how much a part of my subconscious it was and would continue to be. It was just there. Swollen brown in the incessant monsoons of the region. Diminished but bright jade in the summer sun. I only have that one image of the river from my childhood. But let me take you on a virtual journey through some special river moments I have gathered from around the world. From sublime do-before-you-die experiences on ancient bodies of water to the storied rivers that birthed each of the European cities I travelled to in 2017 and singularly influenced their destinies. First, an obeisance to the Ganga (Ganges) – that most sacred of Indian rivers in India’s holiest city. 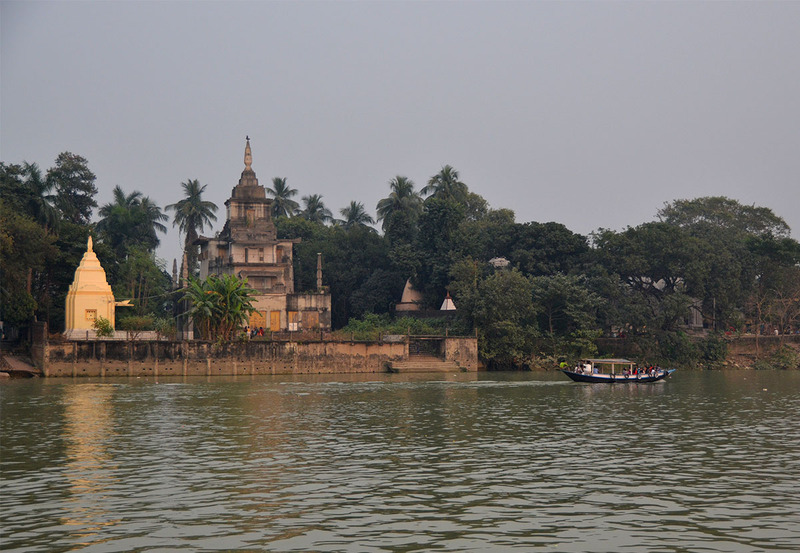 A sunset ride on her tributary, the Hooghly, in Kolkata was an unexpectedly tranquil experience far removed from the ‘City of Joy’ imagery of the city. A sublime nine day cruise down the Irrawaddy. 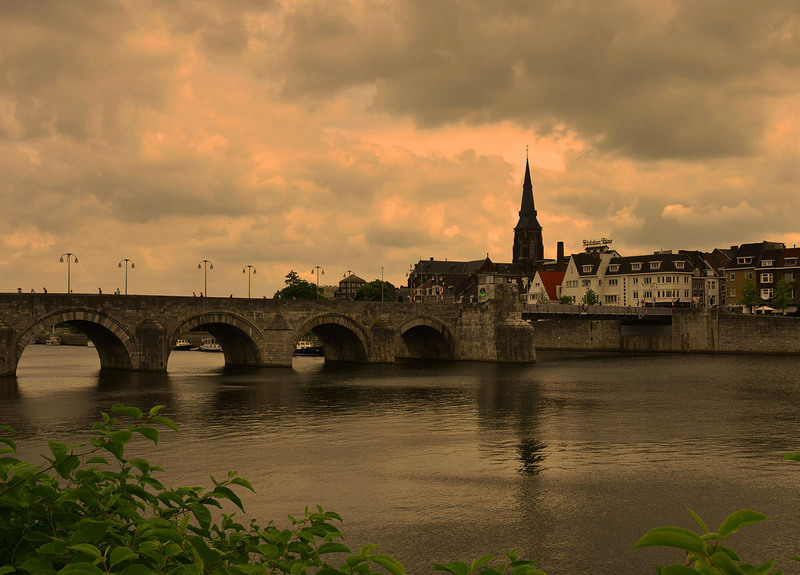 Maastricht takes its name from the river Maas (Meuse). 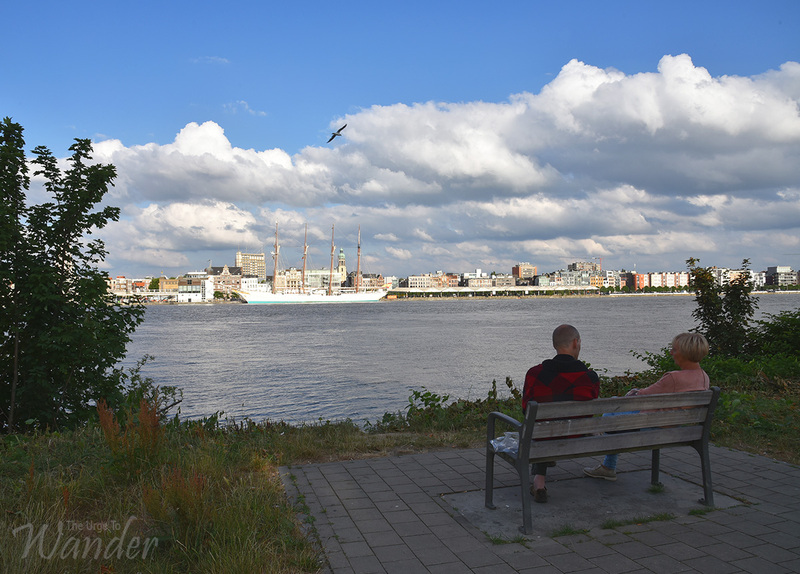 Admiring the skyline of Antwerp from the left bank of the Scheldt. 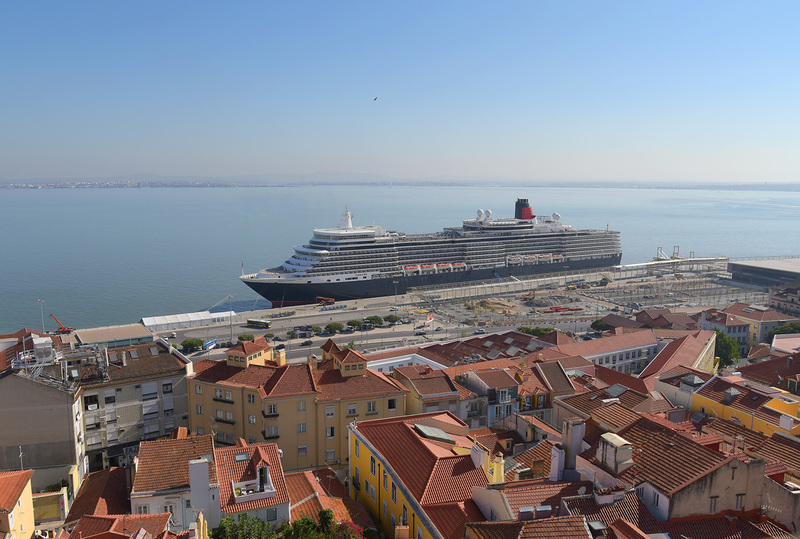 The Tagus: the lifeline of Lisbon. 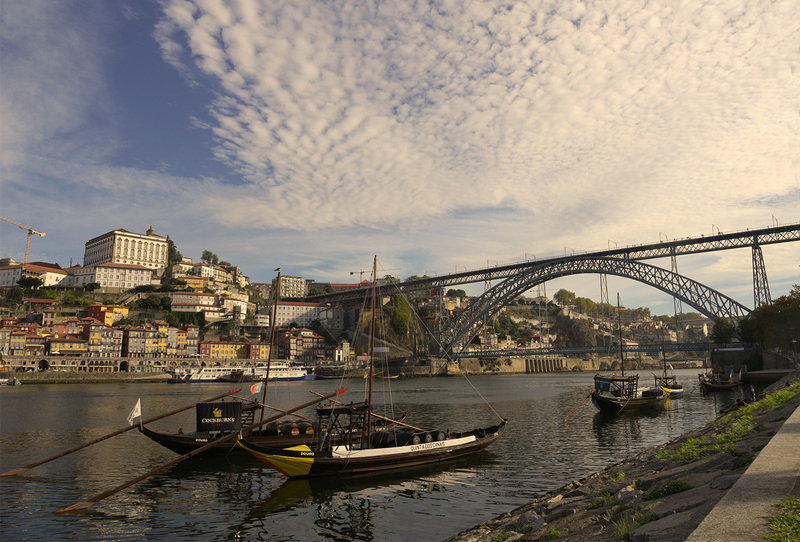 The Douro snakes through steep terraced valleys that are home to the region’s signature spirit…..
And then it cuts through charming Porto enroute to its date with the Atlantic. Wow – absolutely wonderful! I love that you differentiate between oceans and rivers and focused on the later. I’ll check out more posts as I love your style! Thanks for sharing!! Thank you for reading and for your lovely comment Rennie. Have a great day! Thank you for reading and taking the time to share your thoughts….have a lovely day. A round the world in rivers 🙂 Glad you enjoyed the ride. Thank you very much for the thoughtful comment. Madhu, what a beautiful ode to the river of your childhood and the many others you’ve seen in your worldwide travels. One of my most recent magical river experiences happened while I was on assignment on the Indonesian island of Bintan, just across the straits from Singapore, in February. 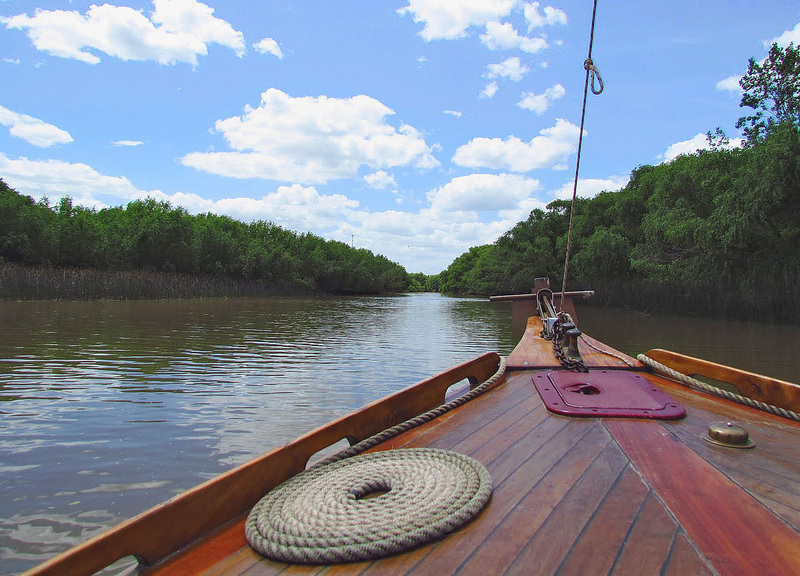 That was an hour-long cruise up a winding river lined with mangroves, and one of the rare occasions when I didn’t bring my camera along. It was so peaceful but there was plenty of life if you knew where to look; rather beautiful mangrove snakes coiled up (sleeping) in the branches overhead, mud crabs skittering on the banks, the occasional blue kingfisher or sunbathing monitor lizard. I do remember my awe at seeing the Douro in Porto and the size of the Tagus in Lisbon; that said, my favorite shot from this collection has to be the one of the felucca on the Nile. PS The photo of the Mekong in Luang Prabang may have gone missing – I tried refreshing the page and highlighting that area but nothing showed up. How wonderful! Your experience in Bintan sounds straight out of a movie James. Leaving your camera behind must have let you immerse yourself in it fully. Thank you for taking us on this lovely journey Madhu. I loved this, Many of those rivers I’ve seen along with the slides you missed. But it was the description of your home river that made the greatest impact. I’ve seen those rivers of the south and loved them. Yes the monsoons do create occasional havoc but I remember the people on the boats doing their thing and the little communities clustered around the sides with their interesting lives and activities. Thank you for bringing back happy memories with this blog. Sometimes memories are more powerful than pictures. Glad you enjoyed my river stories Ian. Thank you for reading and for your always generous support. Much appreciated. As for the blogging, one month doesn’t seem so bad now 🙂 Need to get back to that weekly schedule. Can’t imagine I used to churn out up to three posts per week! Yes so come back to that schedule. 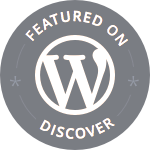 A shameless plug in will be that it has been some time you visited my blog. Hope all is well in personal front. Thanks Bama. Dirty rivers will surely be the last thing to discourage an Indian from visiting Java 🙂 I doubt any river in India, save those up in the Himalayas, meet any basic standards of quality even though we spend in the thousands to ‘worship’ many of them. European rivers are always lovely and romantic, but the Nile was a revelation in its colour and how clean it appeared. That Nile boat trip is the one I lust after, though I could be seduced by a slow boat to Luang Prabang too. 🙂 🙂 All those miles, Madhu, and here we are. still smiling at each other across them. I hope that 2018 is turning out as you would have wished. Here’s to many more river journeys! While the photos are certainly beautiful and compelling (the Nile photo sends shivers of delight down my spine! ), your words – a true paean to rivers the world over – are what really shine here. I loved this post, Madhu! If you and R visit the Thames, I insist you drop me an email as I (we) would love to see you both again! Glad you enjoyed it Jodi. Many thanks. I loved this post Mahdu. I am enthralled by all bodies of water, no matter the size, but your description, your lovely prose, had me mesmerized. I thoroughly enjoyed your river reveries! Especially your childhood reminiscences growing up on the banks of one. Made me nostalgic for the Mangalore that was. I am ever nostalgic for that Mangalore Ashu. Its appearance has changed irreversibly. Hope its spirit endures. actually, he wrote darya which is ocean. I translated it river because of your rivers.. pardon. This is such a wonderful post on your love for rivers. What a wonderful idea Madhu, each of these are amazing rivers. My little local ones seem tiny compared to them, but they still mean a lot to me. There’s something very special about being beside one. Last week I walked along the Vistula with Restless Jo! Oh, that evocative picture of the NIle! It caught my eye especially, amongst all the other eye-catchers in this lovely catalogue of rivers. And what a travel biography too. Your posts are always pure pleasure. I get excited about river cruises because I grew up in an urban area, thus have always been curious about ways of life and activities by the riverbank. Your post reminds me of my travels this past 2 weeks – I had gone on river cruises on the Mekong in North-East Thailand close to the Laos border and Nam Ou in northern Laos. It’s amazing to see rivers are lifelines to communities living in those areas. 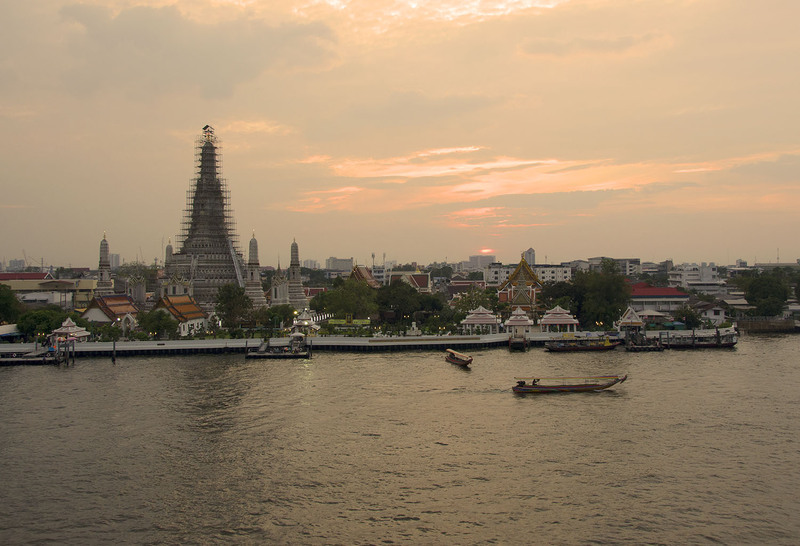 The North-East Thailand cruise sounds wonderful. I agree. 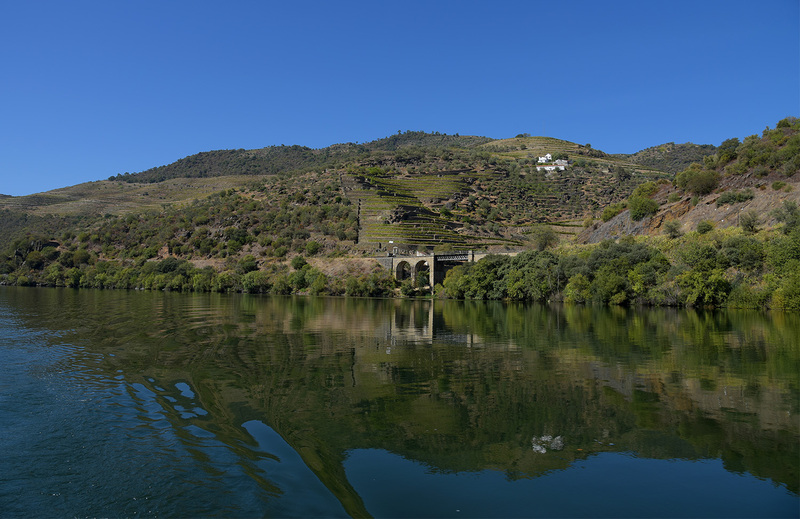 River cruises are fascinating for the intimate connection to local culture they offer as opposed to large impersonal ocean cruises. While wandering around on the river Search, I spotted your lead picture in this article among dozens of others, yet I knew immediately who and where it was, and the river floated me back to you. What a beautiful piece of illustrated writing you have learned to craft, Madhu. Reading your work is like stepping aboard a favorite sailboat and letting the graceful skipper trim the sails to the wind and currents while she spins an overpowering yarn of voyage, discovery, peacefulness and charm. Like your other fans, we’ll follow you to the ends of the earth, then fold up our screens having learned to take a fresh look on life. Many many thanks for taking the time to push your perspective into the deep recesses of our memories and minds Madhu. Whitt, thank you ever so much for your beautiful words of appreciation. I have been struggling to keep this blog updated for a while. It is feedback such as this that keeps me from winding it all up. I sometimes feel my friends repose more faith in my abilities than I do myself. Many thanks again dear friend. Hope all’s well with you? That picture of Nile almost looks like a painting.